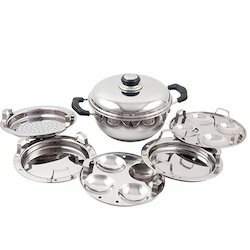 Our range of products include deep kadai, frying pan with glass lid, conical sauce pan, belly sauce pan with glass lid, premium casserole with glass lid (sauce pot) and belly casserole with glass lid. With the aid of our skilled professionals, our firm is involved in offering Deep Kadai. 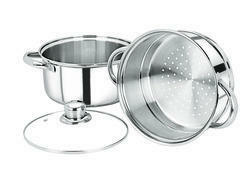 Ideal for both cook and serve purpose; the given product can be used on both induction and LPG Stove. 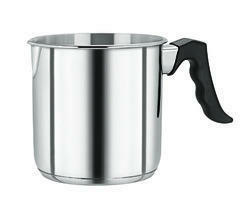 It is made using stainless steel which provides it with perfect finish and high durability. Being a reputed name in this domain, we are dedicated to offering a range of Frying Pan with Glass Lid. 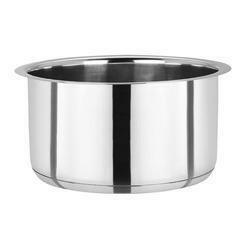 Made using premium quality stainless steel; the provided product comes with an excellent finish, hygienic and easy to wash. Besides, clients can get it at nominal rates. 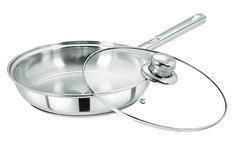 Keeping in mind the requirements of clients, we are offering an exclusive range of Conical Sauce Pan. The product is widely demanded due to its fine finish, high durability, and easy usage. 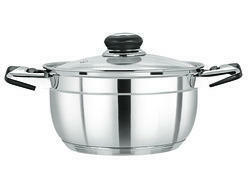 It is ideal for use in both induction and LPG Stove and comes with encapsulated bottom. 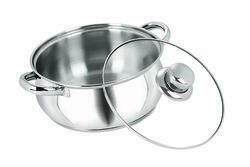 Enriched with vast industrial experience, we have been able to offer a wide range of Belly Sauce Pan with Glass Lid. Highly aesthetic in the appeal; the given product is provided with glass lid and comes with an excellent finish. Besides, clients can get it at nominal rates. * Can be used in both induction and LPG Stove.